am I wrong or there is a promo card for 7 wonders duel? and another for clank! me tooooo!!!! Watch it Played: Clank!, Above & Below, and Near & Far promo cards. I'm pretty sure there are duplicates, so when I've checked feel free to PM me if you want them. 7 Wonders Duel: Sagrada & Stonehenge, which are both reskins of another wonder. You can also see the new 7 Wonders Armarda promo: transparent boats & a Wonder - It is likely, all of these will appear in the repos store soon. A package from Germany, courtesy of Decar. Ive placed an order with cundco, so im hoping to have the new expansions soon! Took me few minutes to open a box, but here it is. Congratulations. 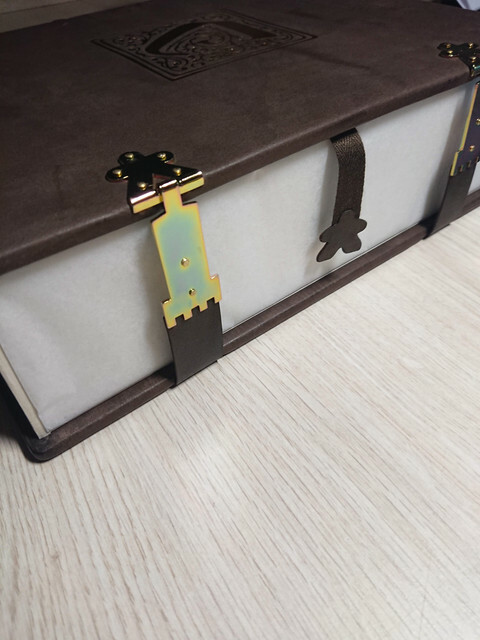 You have a nice 630€ box and a normal 20€ carcassonne inside. Nice Maj. Frost! I can only assume this will get a nice spot in a glass display cabinet in the center of your Carcassonne collection! great work Maj. Frost, a mighty fine case indeed! Very nice! Any special exclusives inside? No. 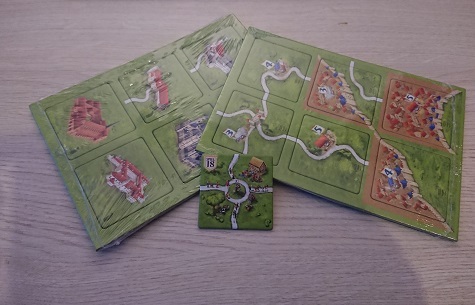 The rules in old style font but the rest is a normal Carcassonne. I still think about proper display. For now it will be hidden under my bed. I will post some proper pictures once I have a chance to do them in daylight. 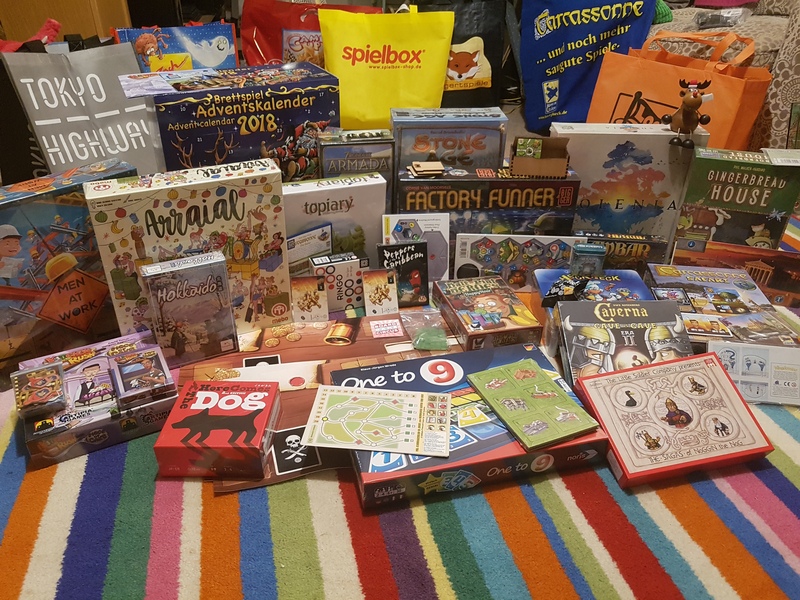 My pal got me the Fruit Bearing Trees and Die Bader along with the Spiel 18 tiles from essen and they arrived today. Although my girls have stolen them to put into my Christmas stocking so I don’t get them until then.